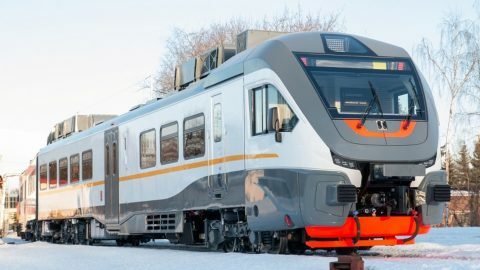 Russian manufacturer Metrovagonmash, part of Transmashholding, is testing the brand new railbus RA-3. The trials are running on the range of Russian Railway Research Institute (VNIIZhT) in Shcherbinka, Moscow region. The certification tests will go on until the end of July. 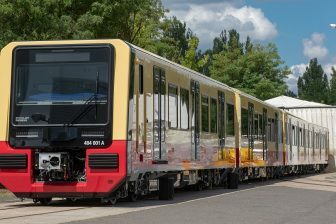 The total length of the railbus test run is 5,000 kilometres. Within the trials, the running indicators such as average speed, smoothness and braking will be reviewed. Also, the effectiveness of the microclimate system and the operation of other equipment will be checked. It is expected that Metrovagonmash will be able to start mass production of the RA-3 railbus. Central Suburban Passenger Company (CSPC) has already ordered 23 vehicles of this type. 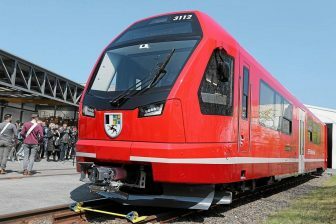 Russian Railways considers purchasing RA-3 railbuses for its passenger service in Sakhalin. The RA-3 railbus is the latest development of Transmashholding. Designers have paid attention to the comfort of the passenger compartment. The vehicles are equipped with information monitors displaying the route, video surveillance systems, and energy-saving LED lighting. The passenger section and driver’s cabin have a climate control system with air disinfectants. The railbuses also have special places for passengers with limited mobility, lifts for their boarding-disembarking and universal sanitary complexes. 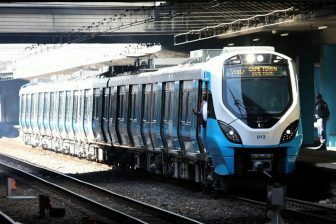 The vehicles will be produced in a two-car and three-car composition for commuter service on the non-electrified lines. Metrovagonmash notes that the railbuses can be operated in multiple-unit train control. The RA-3 vehicle is capable of speeding up 120 kilometres per hour.